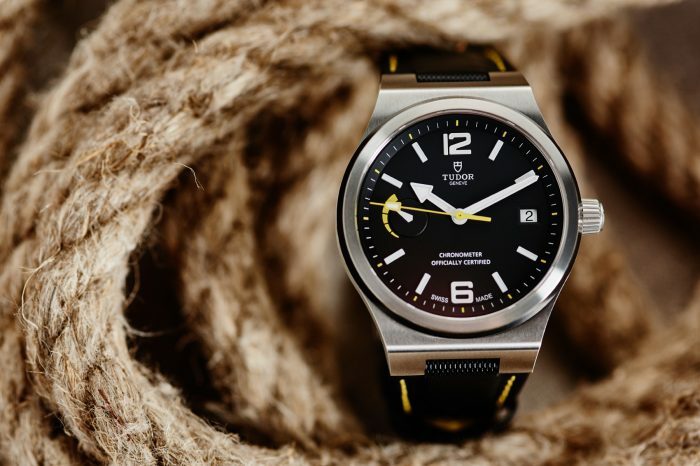 North Flag is the first Tudor timepiece driven by an in-house calibre. Spiced-up with a modern design and austere form not only it stands out from among the other models of the collection but it is also a sort of declaration of independence from Rolex. 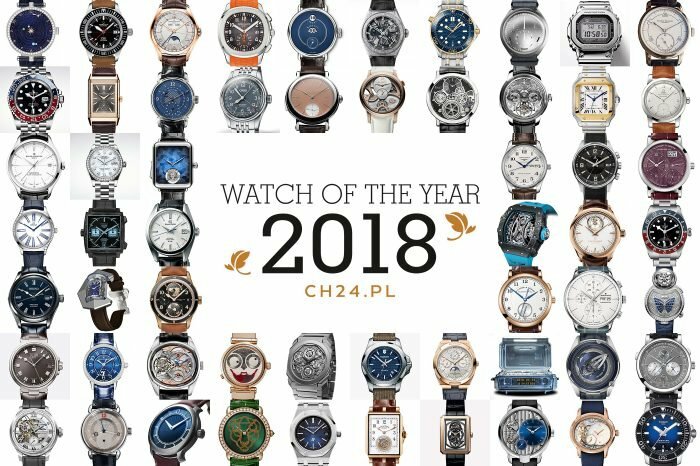 If you are one of the regular readers of CH24.PL you know that since the revival of the Tudor brand a few years ago we have been watching this brand with a lot of interest. Everything started in 2010 with the premiere of the Heritage Chronograph. 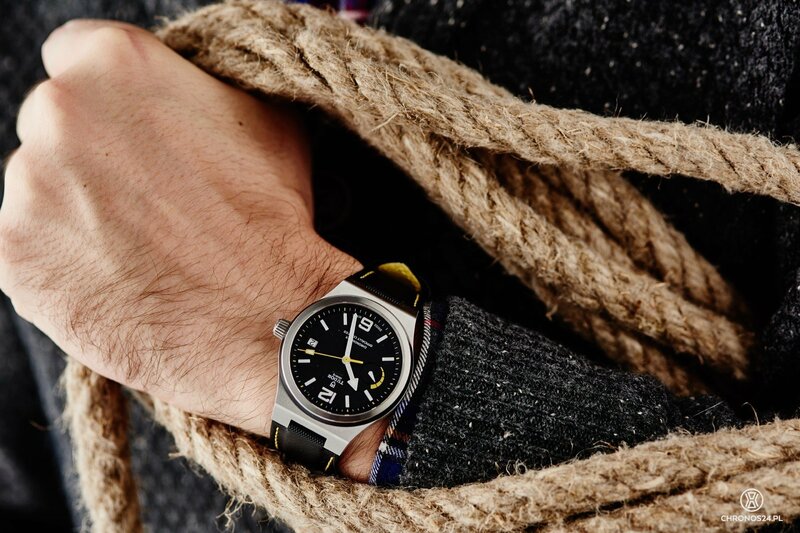 Soon after the product range was extended with the Ranger and then Heritage Black Bay. 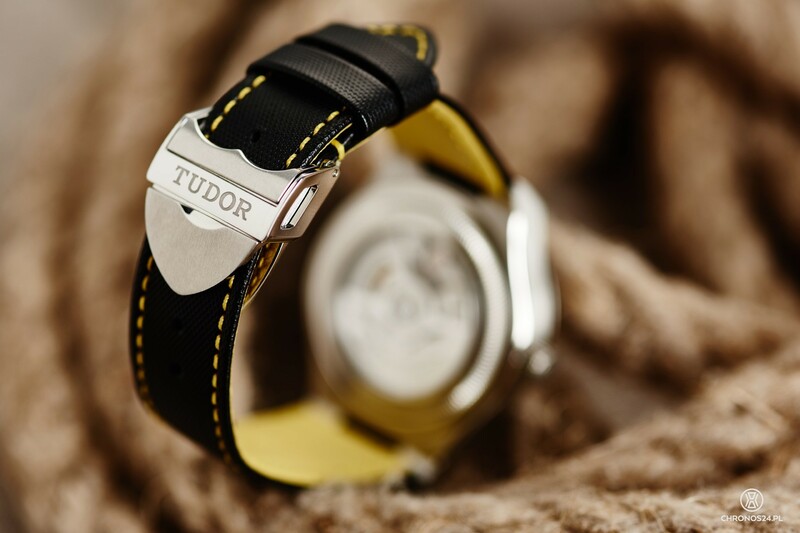 The last one, in all three variations gave Tudor an incredible amount of publicity and popularity. All these timepieces are based on the historical models of the brand and unfortunately in no way they have contributed to the ridding of the “Rolex for the slightly less wealthy people” label. Looking at the Ranger, clients see a Rolex Explorer and a budget version of the Submariner in the case of Heritage Black Bay. People at Tudor decided to do something about this and the effect of their work is the North Flag. The name relates to the Tudor Oyster Prince used by the British expedition to Northern Greenland in the mid-20th century. 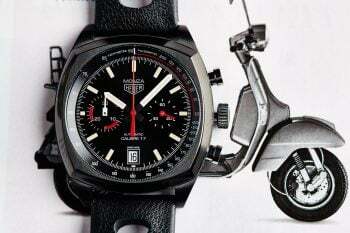 From a more visual perspective, one can try to find similarities with the Tudor Ranger II from the 1970’s. I said “try to” because the North Flag is a modern watch, manufactured using contemporary technologies. 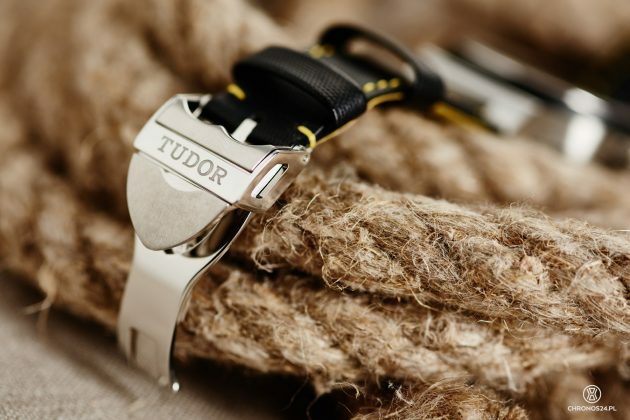 Until this year, Tudor has been using ETA calibres in all its watches (with modules from Soprod and Dubois Depraz). Something wrong about that? No, I think these are well-proven and reliable movements, allowing the manufacturers to maintain a reasonable pricing level. This does not change the fact that the term “in-house” has gained some magical power and acts as a prestige lever. 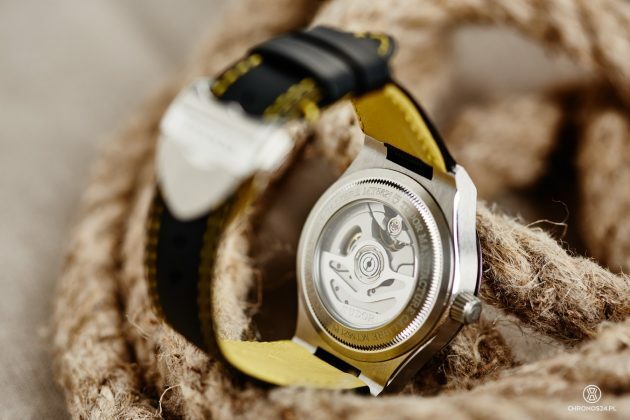 Therefore almost all significant market players are trying to introduce in-house movements in their timepieces, despite the gigantic development costs. It happens that these calibres are not the most accurate or even worse, not really reliable and fail proof but still they remain the Holy Grail of the watchmaking business. 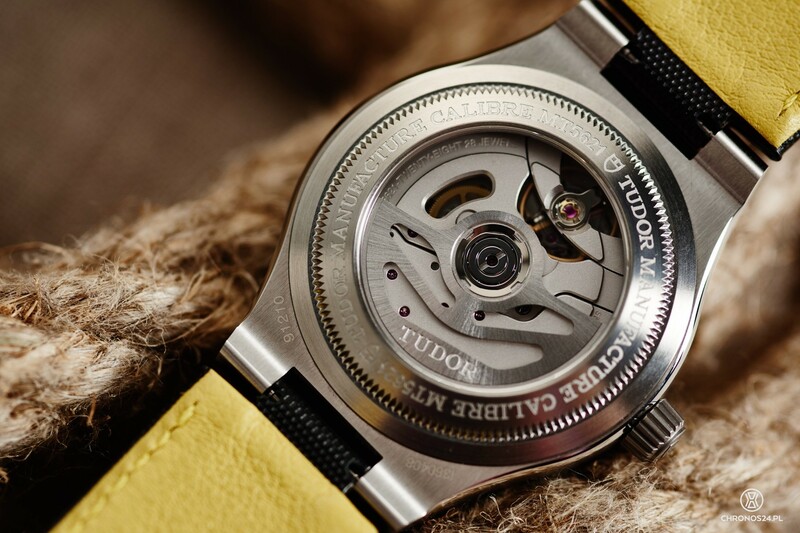 How will the MT5621 calibre by Tudor perform in a longer time perspective? No one knows. What we know however, is that the company has not taken any shortcuts in creating the movement. 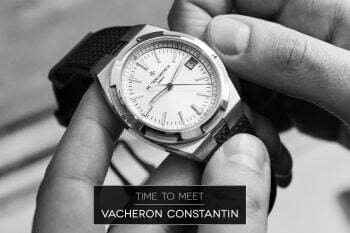 The construction guarantees 70 hours of power reserve (the common standard being 42-48 h), it is certified by the COSC and the application of a silicon hairspring guarantees better resistance to magnetic fields. 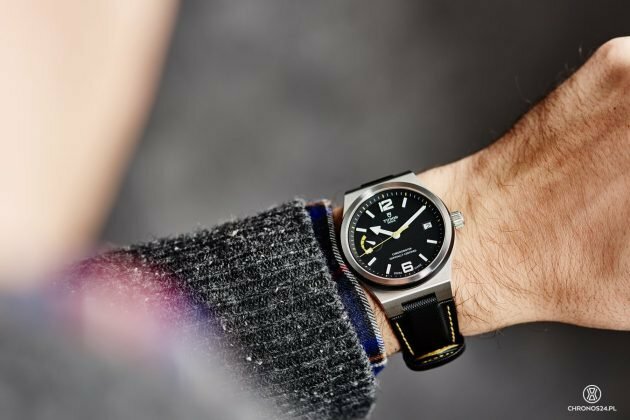 On the positive side, it is also worth noticing that the designers did not restrict the watch to the indication of hours, minutes and seconds, as this would certainly contribute to a lower manufacturing cost. The base functions were extended with power reserve and date complications. The date can be adjusted at any time of the day without the risk of damaging the movement. A large group of manufacturers do not advise changing the date between 10:00 p.m. and 02:00 a.m. as this can have negative impact on the functioning of the mechanism. Looking at the MT5621 calibre through the transparent caseback – note that North Flag is the first watch by Tudor with sapphire back – you will not find beautiful ornamentation (limited to sand-blasting of the surfaces) or aesthetic additions to the finish. 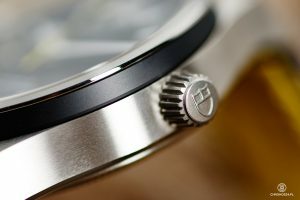 The movement looks austere and I can only suspect that similarly to other less than beautiful calibres of Rolex, the main focus was workhorse-like reliability. The full bridge is, in the opinion of many, a guarantee of better rigidity and resistance of the construction. 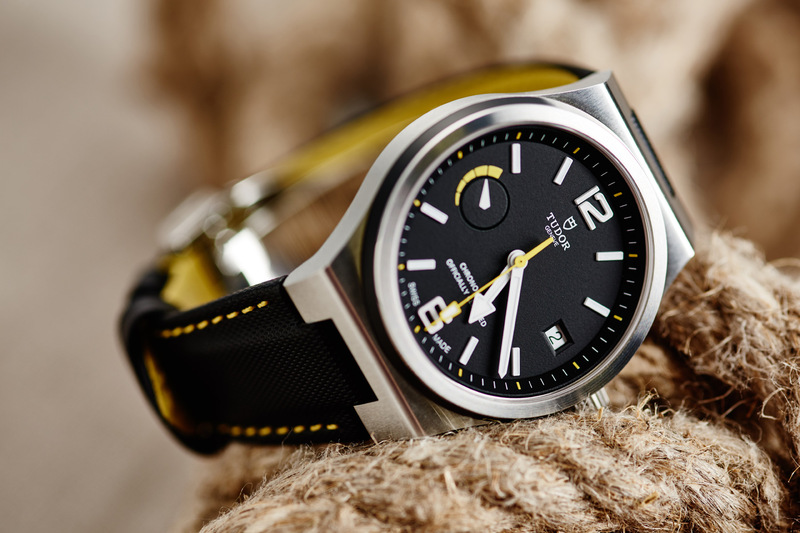 Looking at the North Flag many will most probably find some features common for the tool-watches: an austere form of the 40 mm satin-finished case and modern shape, with no protruding strap lugs. The version I got for this review was the black strap with yellow lining and stitching – unfortunately this was the weakest point of the watch. The space between the case and the strap is too wide and the watch tends to move sideways a little bit too freely. The strap seems to stiff and the end is clearly protruding from the strap loop. This is why, despite the eye-catching colours I would choose the bracelet, conservative in its satin finish and visually relating to the case. The top of the case ends with a mat-black ceramic bezel with an outer steel ring. On the side of the case, there is a slightly conical screw-in crown, bearing the Tudor logo. I must admit that the hand-winding (or rather topping up the spring power as the watch has an automatic winding mechanism) is pure pleasure. Everything works smoothly and the shape of the crown makes it even easier. The dial is a black surface with applied large white indexes, surrounded by the minute scale. 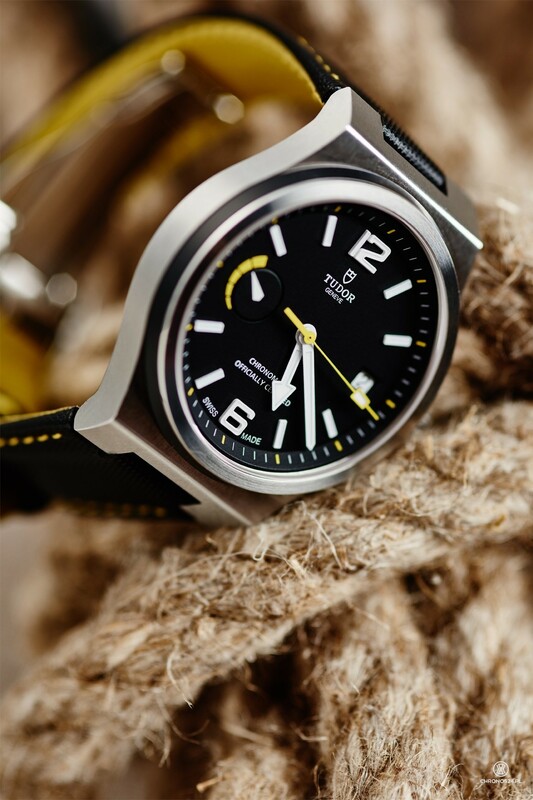 Its elements (an index every 5 minutes), just like the second hand and the scale located at 9:00 (power reserve dial) are of an intense yellow colour. The calendar window has been located on the other side of the dial, at 3:00, showing a fragment of a white disc with black numerals. The general design is modern and legible. 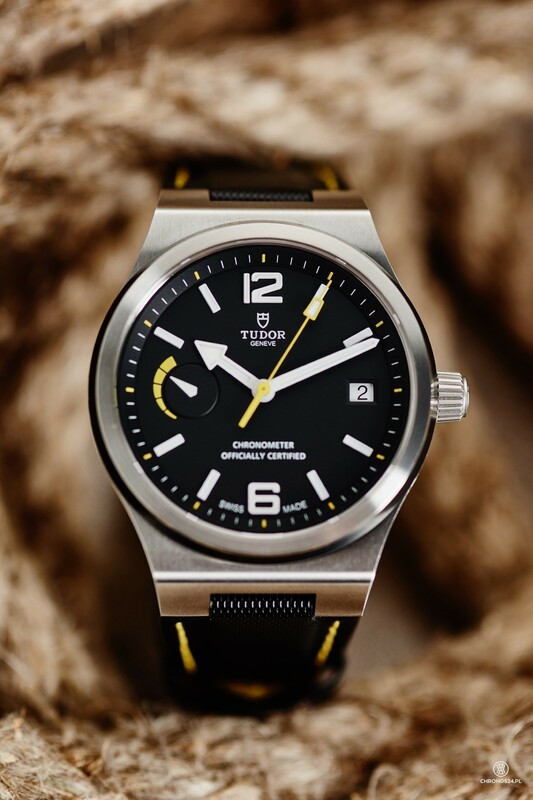 To add a bitter note, I must admit that the visual side of the North Flag is completely not my cup of tea – I much prefer the Tudors relating to the vintage „Submariners.” The idea behind this new 2015 Tudor’s flagship timepiece is completely different. This watch aims at ending all associations with the sister company and moving out of the “crown’s” shade. 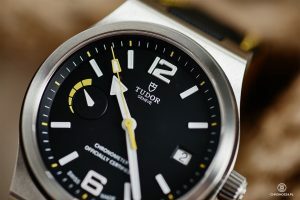 Additionally, looking at the end result, I am getting the impression that it is a model targeting a younger client, Tudor wants to convince to the brand. Anyway, if you like the North Flag aesthetics, the price to value index is undoubtedly high. The very good quality of manufacture and in-house movement have been priced PLN 16,390 (~3.900EUR). 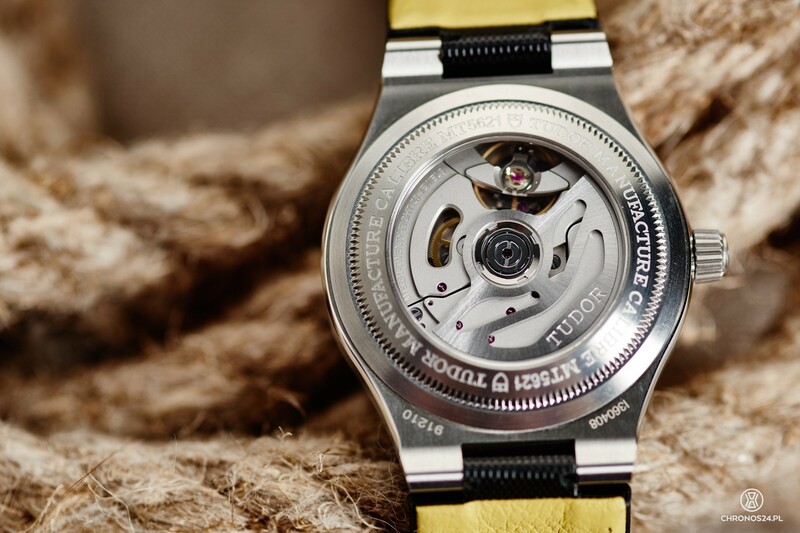 Movement: in-house MT5621, automatic, 70h power reserve, 28.800 A/h (4Hz), with COSC certificate. Watch provided for testing by W.Kruk.